14 cm tall (5.5 inches). Base 12 x 11 cm. Width 11cm. 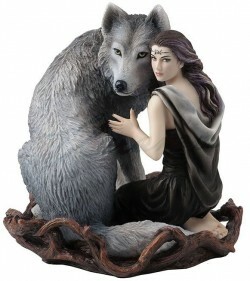 An impressive and detailed woman and wolf fantasy figurine designed by Anne Stokes.